The volunteers who serve on our Board of Directors are pictured above. 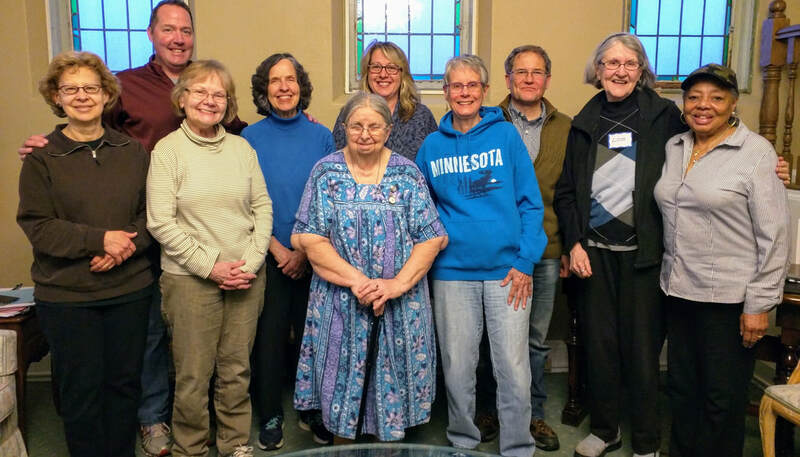 From left to right they are Cheri Lemay Sheehan, RJ Stevens (Chair), Mary Street, Cathy Lue, Margaret Gilbert, Liz Gretz, Kathy Carlson, Kale Hedstrom (Treasurer), Lois Nedoroski and Carol Sanders (Vice Chair). Hamline Midway Elders is governed by a dedicated Board of Directors. Copyright © 2018 Hamline Midway Elders. All rights reserved.